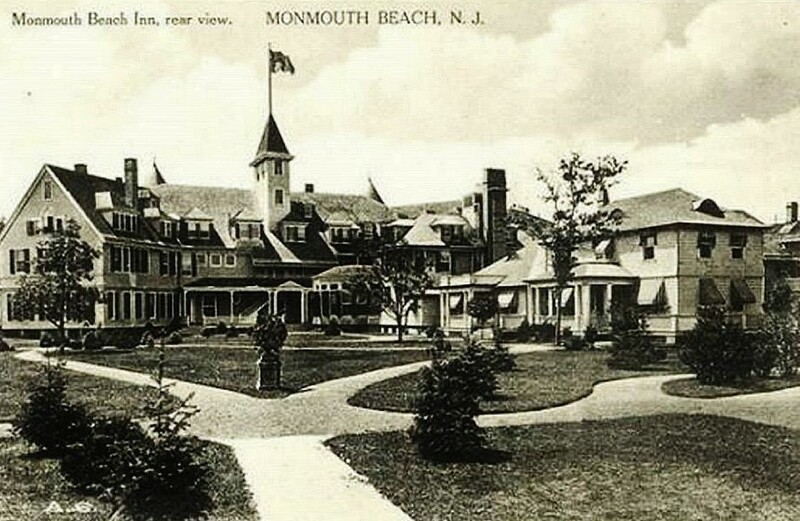 Back in the late-1800s — thanks to the advent of a shore-area railroad system and a train station in the borough — Monmouth Beach was known as a secluded resort for the rich and famous. It began in 1871 with the formation of the Monmouth Beach Association which sought to create an exclusive resort along the Jersey Shore The owners wanted to make the area a “select place” for people of “unquestioned respectability.” Many wealthy and well-known families made their homes here in town during those glory years — mostly during the summer months. Their dwellings were the massive cottages that dotted the coastline. Today, most are gone. 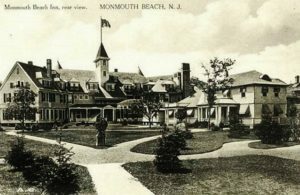 The following famous names and families list — all who lived in town at one time or another — was largely compiled by borough resident Gail Gannon, who is much-admired for chronicling of old-time Monmouth Beach through her historic paintings. • Samuel R. Mott — Nationally-known for the cider company he founded in 1842, Mott and his family lived on the corner of Ocean Avenue and Beach Road in the late 1800s. Today the company is part of the Cadbury-Schweppes beverage empire. • William G. Fargo — He was the founder of the Wells Fargo Company, the first messenger service between the east and west coasts, which today is a $300 billion financial services company. He was also one of the original founders of the American Express Company in 1850. He lived on Beach Road. • William Barbour — Owned the Barbour Linen Thread Company, which manufactured linen treads for fishing liens and nets. His son, William, born in Monmouth Beach in 1888 and later a Rumson resident and its mayor, represented New Jersey in the U.S. Senate starting in 1931. The family’s large Stanford White-designed house on Ocean Avenue, where the Admiralty now stands, was torn down in 1973. • The Harper Brothers — The founders of the Harper’s Bazaar magazine in 1867 and a later a book publishing firm (HarperCollins), James and John Harper lived on the corner of River Avenue and Beach Road. • J. Walter Spalding — Co-founder/co-owner of the Spalding Brothers Sporting Goods Company in 1876. 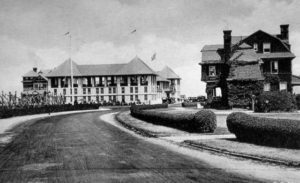 He lived on Ocean Avenue near Surf Road. His son, Albert, was a world-renowned concert violinist. 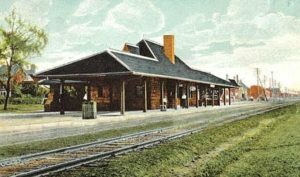 Spalding Place in town is named after the family. Spalding is now a diversified sporting goods company with over $500 million in annual sales. • Bowles Colgate — Co-founder of Colgate and Company, which later merged with Palmolive Soap to form the now giant, Colgate-Palmolive Company, which today has over $15 billion in annual revenues. The family lived on Beach Road. • Henry Heide — The founder of the Heide Candy Company (famous for Jujubes and Jujyfruits), he lived on River Avenue in a house (still standing) designed by the world-renowned architect, Stanford White. Hershey’s ultimately bought out Heide. • J. Amory Haskell—Was a General Motors executive and horse breeder. His son, Amory L. Haskell, was the first president of Monmouth Park and the namesake of today’s marquee horse race, the Haskell Invitational. The train station in Monmouth Beach. • Jay Gould — Who personified the “Robber Barons” of the late 1800s, was the founder of the Western Union Telegraph Company and a railroad magnate. Early maps show him having large Monmouth Beach holdings. • A.M. Good — Was the founder and owner of Carter’s Little Liver Pills. He lived on the corner of Beach Road and Ocean Avenue. • John McKesson, Jr. — Founder and co-owner of McKesson Robbins, a pharmaceutical company. Today McKesson is a diversified health-care company with near $200 billion in annual sales. 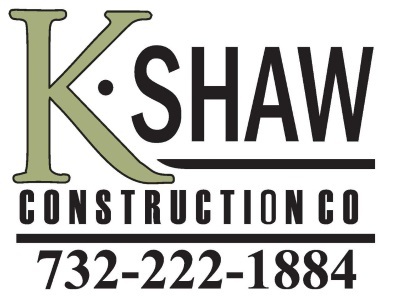 He owned several pieces of property in town and lived in a large house south of the MB Club. • George Robeson — Was the U.S. Secretary of the Navy under President Ulysses S. Grant (1869-1877) and later a U.S. Representative from New Jersey. He lived on Ocean Avenue. • Henry L. Stimson — Was the U.S. Secretary of War under President William Taft (1911-1913), Secretary of State under President Herbert Hoover (1929-1933) and Secretary of War under Presidents Franklin Roosevelt and Harry Truman (1940-1945). The ultimate “Washington wise man” lived on Ocean Avenue. • Garret A. Hobart — Was the Vice President of the United States (under President William McKinley) from 1897 to until his death in 1899. He also served as Speaker of the NJ Assembly and President of the NJ Senate. Born in WLB, he owned a home on Ocean Avenue in town and another just over the border in North Long Branch. • Guglielmo Marconi — The inventor of the wireless telegraph system, which helped bring on modern radio. The first to use wireless to transmit across the Atlantic Ocean in 1901, he stayed in the town’s Galilee section in the late 1800s and used the U.S. Life-Saving Station for his wireless experiments. I just heard this yesterday and wanted to know if anyone could confirm this please. 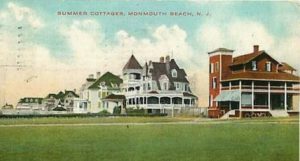 Was there a farm on the EAST side of Ocean Avenue in Monmouth Beach that was about 4 miles long in the late 1800s? If yes, do you have any info I can read up on it more or any website that talks about this? Thanks. More than likely it was the kitchen gardens for large families tended by the help. Once again Greg. Great research! Great story! Editor’s Note: My thanks to a smart teacher. Appreciate the compliment Mike.